Read more about AMD's rumoured Radeon Navi graphics card reveal. I'm not really sure how to interpret that, doesn't close to RTX2080 imply even closer to VII? I'm guessing if true that means a beefier than Polaris' 256-bit bus unless they've managed to depart from GCNs relatively memory bandwidth hungry nature, maybe 384-bit (Upto 768GB/s ie directly between VII and VegaI) at the top which I guess would maybe line up with console rumours of 12GB VRAM chunks. Hard to draw conclusions about CU count without knowing if they've reconfigured their layout alot but I think we can assume they've gone for a smaller than VII die here so either slimmed CUs or a chunk less than 64 but if it was a straight x1.25-1.35 speed up of 7nm that'd land it in ~48CU territory to pass Vega64 (Coincidentally? also x1.5 more than Polaris' config as with memory) or maybe less if they've pulled out stronger IPC gains. So to me this leak kinda implies Navi (10?) is more like Hawaii than Polaris if it's true, and I guess a smaller die (256-bit/~32-36CU Polaris10 esque) will come to fill the gap between the inevitable budget die. 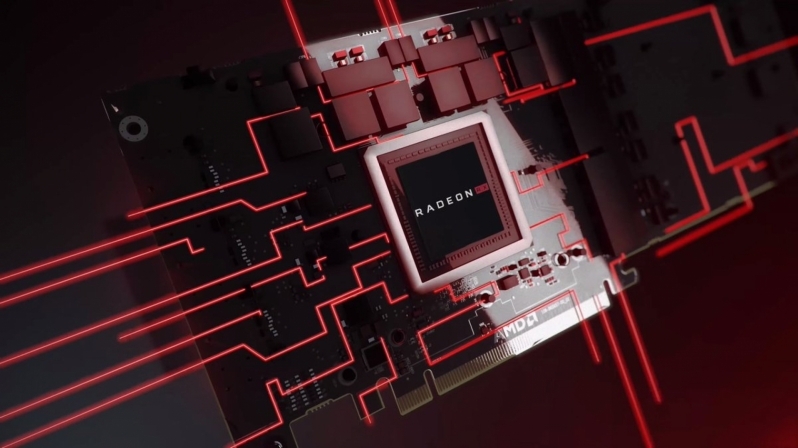 "Radeon's initial Navi offering will deliver performance levels which could "easily" best the RX Vega 64 and come "close" to Nvidia's high-end RTX 2080"
So a Radeon 7 then, If that's true then Radeon 7 only having a 4-5 month lifespan before it's replaced is a bit of a kick in the teeth. I have re-worded things to say that it can get "close" to the RTX 2080 in some instances. Remember that this comes from a leak, and that initial Navi GPUs are also said to be better than the RX Vega 64. The RTX 2080 is expected to be ahead of early Navi cards, which by extension means that the Radeon VII will also be better.